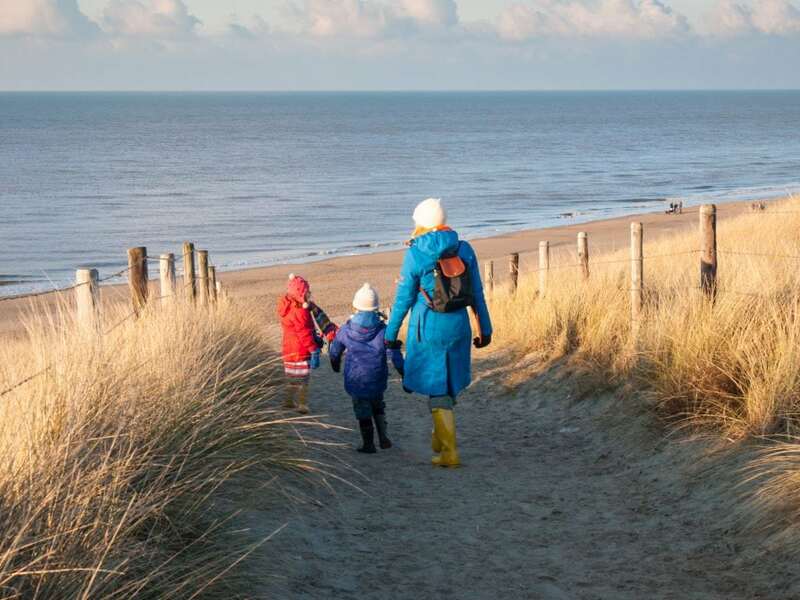 Have you ever considered a winter break by the sea? Cornwall in the winter is truly magical and the perfect opportunity for a coastal break without the crowds. Read on to discover things you can see and do for a memorable Cornish winter getaway. Winter walks on the rugged Cornish coast are the perfect way to burn off your Christmas lunch, festive drinks or chocolate treats. Wrap up warm and enjoy a bracing beach walk on one of St Ives Bay’s many beaches or head onto the coastal path for a wild cliff top walk. After your rejuvenating stroll, there are lots of cosy Cornish pubs to warm up in, many of which have roaring log fires like The Lifeboat Inn in St Ives, The Watermill in nearby Lelant and the Tinner’s Arms in Zennor. Many of the traditional foods of Cornwall are great comfort foods and perfect for a winter treat on a cold day. Cornish pasties are a warming and hearty meal, with festive varieties also being sold during the Christmas season. Tuck into a Philps Famous Pasty from Hayle or grab one from the St Ives Bakery to enjoy in your holiday home or somewhere with a sea view. 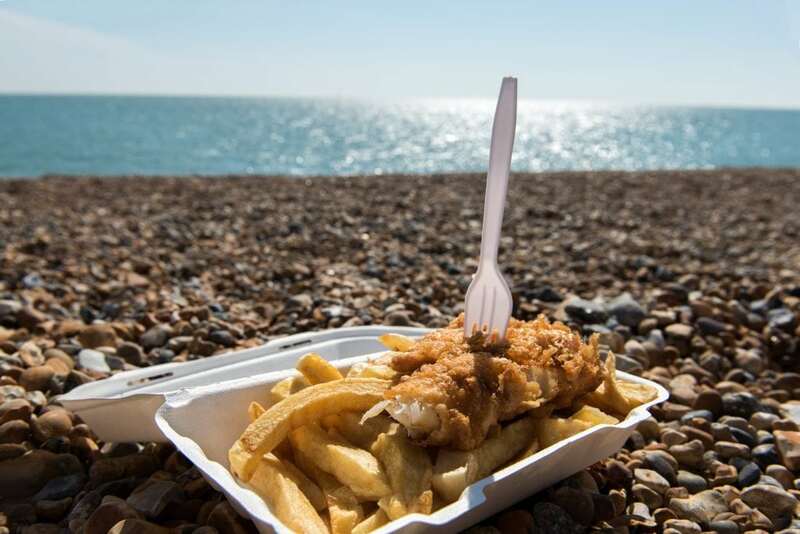 Fish and chips were made for the beach and are a delicious and filling meal to enjoy whilst walking on the sand, sitting on a seaside bench or back at your holiday apartment. A tasty meal from Harbour Fish & Chips in St Ives can be enjoyed with a harbourside view, just remember not to feed the seagulls! A Cornish holiday wouldn’t be complete without a Cornish cream tea. The traditional cream tea in Cornwall always has the cream on top of the jam (#jamfirst) so that you can dollop lots of delicious Cornish clotted cream on top! There are several lovely tea rooms in St Ives where you can enjoy a tasty treat on a lazy winter afternoon. Perhaps you’ve been surfing during the summer a few times and fell in love with it or you’d like to start surfing regularly to improve. You can’t become a seasoned surfer unless you brave the water in all weathers. If you’re ready to take the plunge, you’ll definitely be needing a winter wetsuit! You might also need some other surfer’s accessories such as a hood, gloves and boots. Once you have all the right gear and you’re ready to go, there’s a few other things to remember before you embrace the winter waves. Firstly, prepare for when you get out of the water by having your towel and warm clothes handy. Next, do a warm-up before you get in the water – try a few stretches followed by a jog down the beach. Finally, once you’re in the water try not to sit still in the surf. 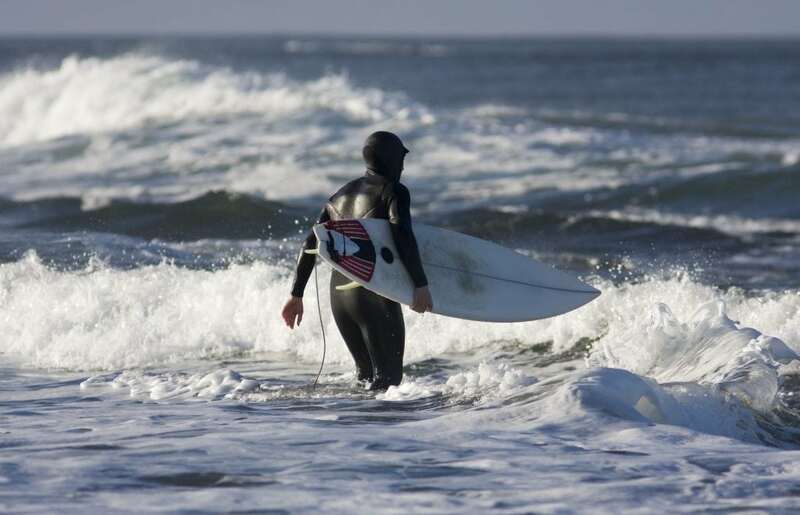 It is better to have a shorter, more active surf than it is to sit around and get cold. You can hire surf boards and equipment from St Ives Surf School. The Cornish winter can bring some pretty wild weather. Gale force winds and relentless waves have shaped the Cornish coast into the rugged landscape that it is today. There are plenty of scenic storm watching spots to choose from near St Ives. The Old Coastguard in Mousehole has dramatic views out over the sea with a cosy log fire inside. Tuck into some delicious food whilst you shelter from the wild weather and watch the waves from the window. 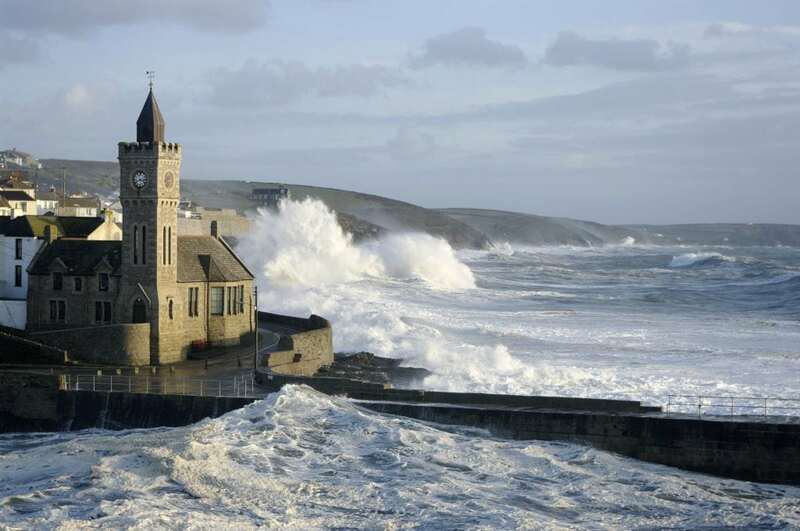 Porthleven is another popular storm watching spot with its clocktower providing a great backdrop for the ferocious waves. Duck into Origin Coffee Roasters for a brilliant view of the harbour and watch the stormy weather with a warming drink. Other exciting storm watching spots include Sennen, Botallack, Cape Cornwall and Penzance. Just remember to consider safety first – photo opportunities are not as important as your life! Keep a safe distance from the water’s edge and watch indoors from a pub or cafe where possible. The strong winds and massive waves can make going outdoors an exhilarating experience. But cold, crisp, cloudless days are absolutely beautiful too. There are more than 300 beaches in Cornwall and they’re all blissfully quiet during the winter, perfect for a romantic stroll on the sand or kicking a ball around with the kids. Explore the Cornish coast in your warmest winter clothes, scarf and gloves and plan your walking routes around a cosy cafe or pub. The south west coast path and miles of stunning sandy beaches will be virtually empty so you can explore to your heart’s content. Who knows, you may even be fortunate enough to see the beaches covered with snow! 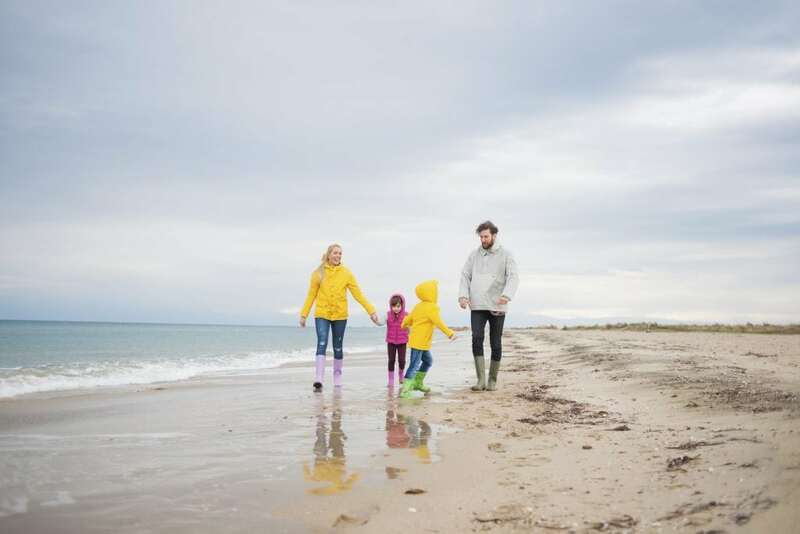 Pack your walking boots, wellies and wooly hats and be prepared to explore in all weathers. After a busy day exploring the Cornish coast, enjoying bracing walks on the beach or braving the water for a cold water surf, it’s always good to have somewhere cosy to return to. 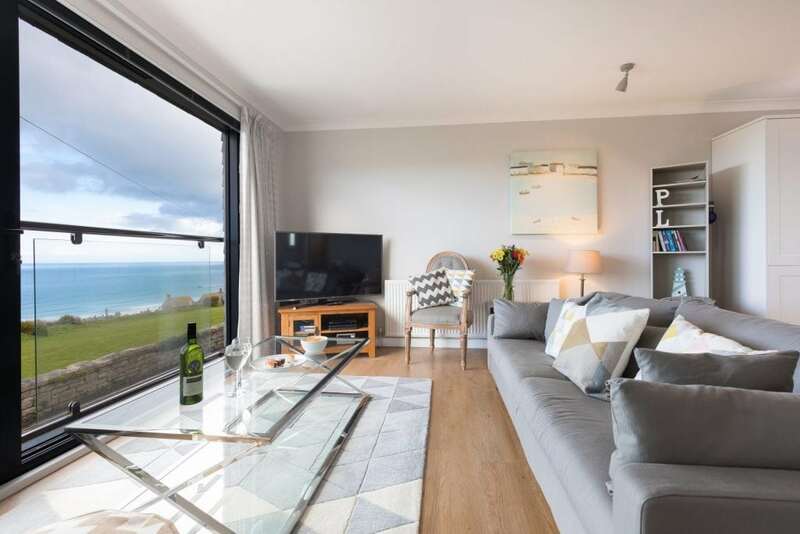 We have a varied choice of holiday homes and cottages in St Ives and Carbis Bay, many of which have sea views which are perfect for wild winter weather watching, warming wood burners or open fires, and lots of entertainment for wet days including games consoles, board games and Netflix. Ready to start planning your winter escape by the sea? Find your ideal holiday home which has all the requirements you’re looking for by using our search function.